Snack time is one of our favorite parts of the day, but it can easily mean packing in a lot of empty or unnecessary calories if we don’t lean into options with properly balanced nutrition. Many prepacked snack go-tos load up on sugar and refined carbs while skimping on fiber, healthy fats and protein. That protein, more than anything, is what gives your food staying power, truly holding you over until your next meal rather than leaving you ravenous an hour later. 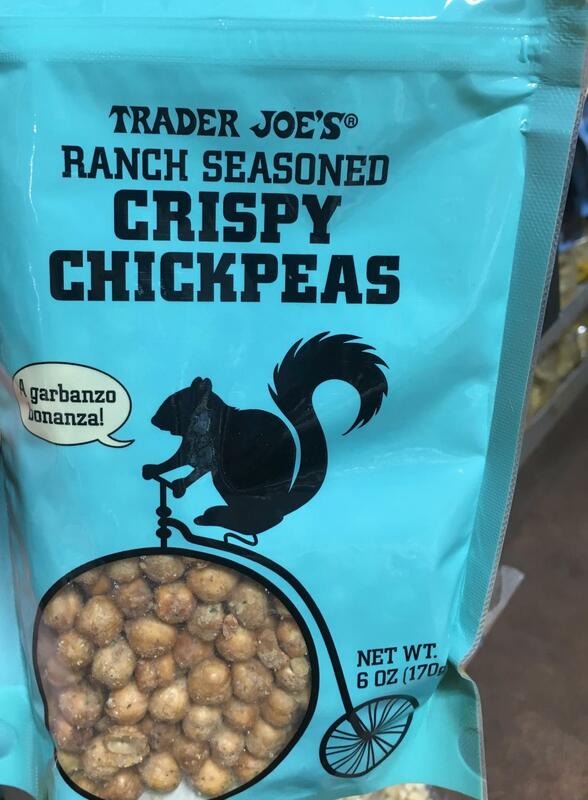 So with that in mind, here are 11 Trader Joe’s finds that will give your snack time a serious protein punch. 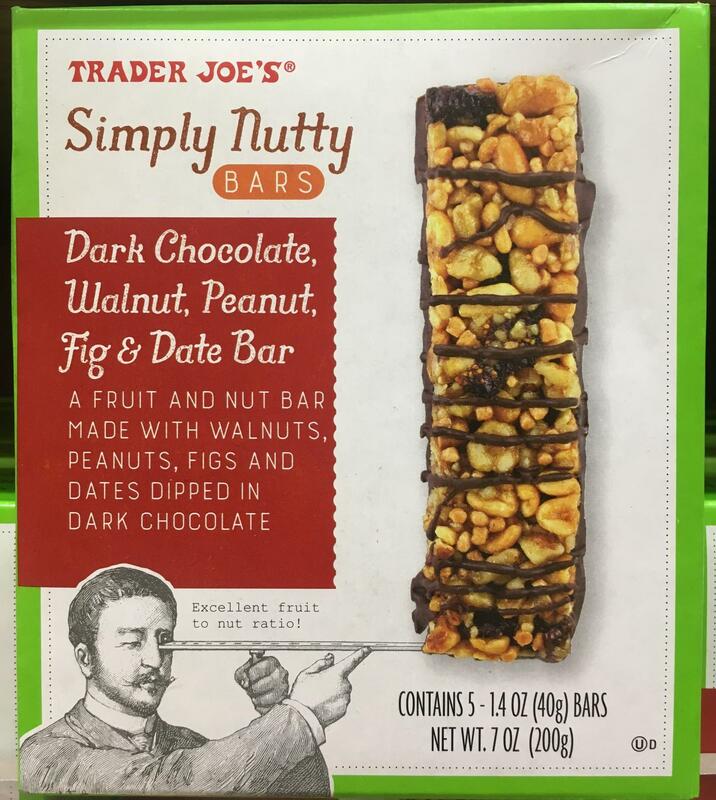 Coming in at just under $1 per bar, these tasty snacks feel like dessert without adding a ton of unwanted sugar into the mix. Plus, each bar includes a solid 7 grams of protein alongside a quarter of your daily dietary fiber needs and a healthy boost of monounsaturated fats to keep you fueled. Who knew chickpeas could be so satisfying in snack form? Coming in with 6 grams of protein per serving, these little guys have all the staying power a quality snack needs. This bag includes six servings, meaning each snack session is costing you right around 33 cents. Such a steal! 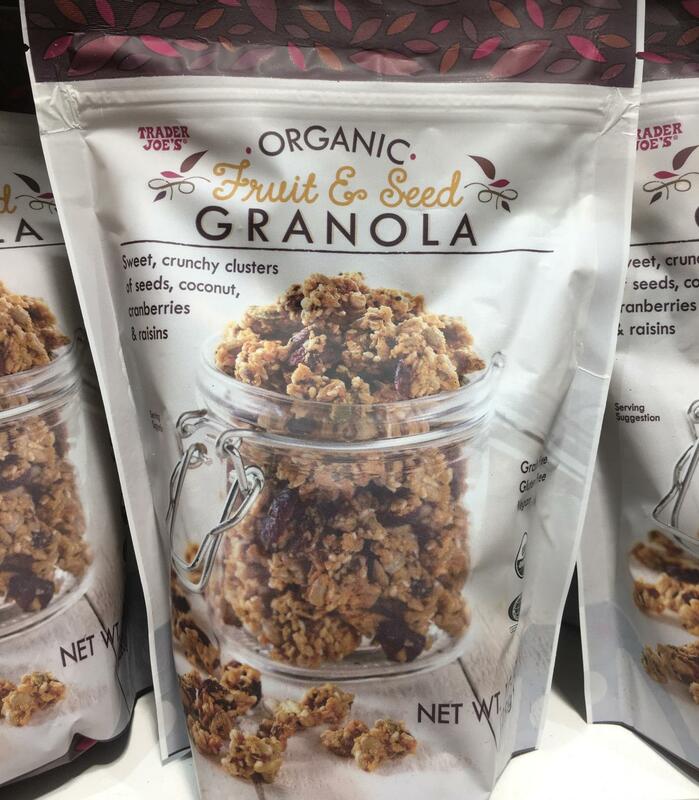 This granola will address all of those sweet, crunchy cravings that hit in the afternoon without totally undoing your diet. 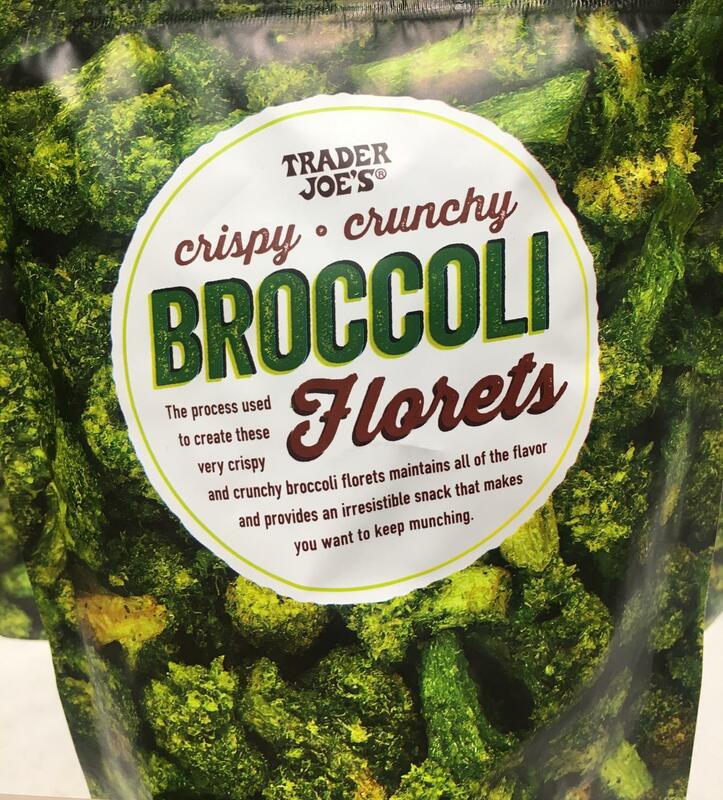 Every serving (which comes out to 82 cents each) contains 8 grams of protein and a healthy 6 grams of dietary fiber. 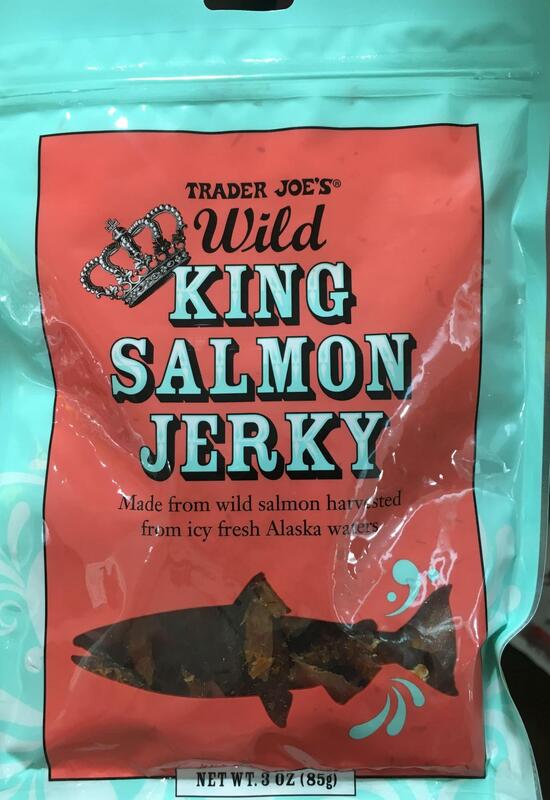 The protein winner on this list, TJ’s salmon jerky provides a whopping 13 grams of protein per serving. Each bag contains three servings, which comes out to $1.83 per snack. It’s a little steeper than most others here, but you reap real nutritional benefits from it. 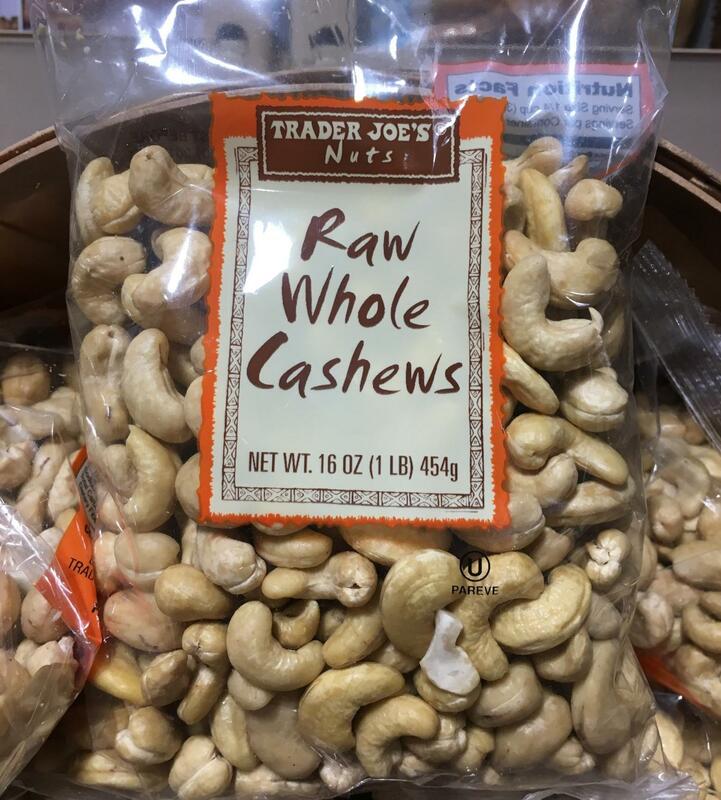 Obviously, Trader Joe’s isn’t the only place you can buy cashews, but you won’t find a 1-pound bag cheaper than here without losing out on quality. Each quarter-cup serving comes out to just 53 cents, providing 7 grams of protein with only 2 grams of sugar. 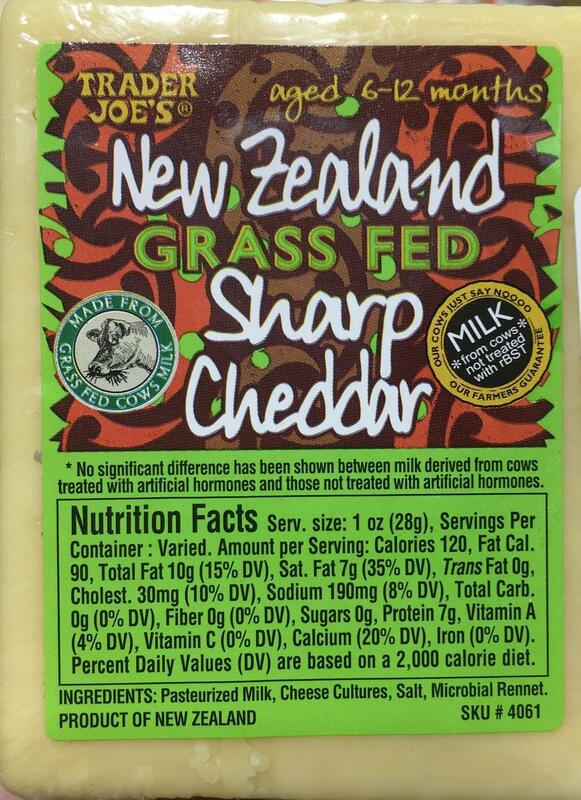 No snack list is complete without a cheese option, and this block of sharp cheddar is a super affordable way to get your comfort food fix. Each 1-ounce serving costs only 37 cents and supplies 7 grams of protein. Bring on the cheese, please! Oatmeal is typically a breakfast food, but when it comes in portable cup form, it can easily become a healthy go-to snack. 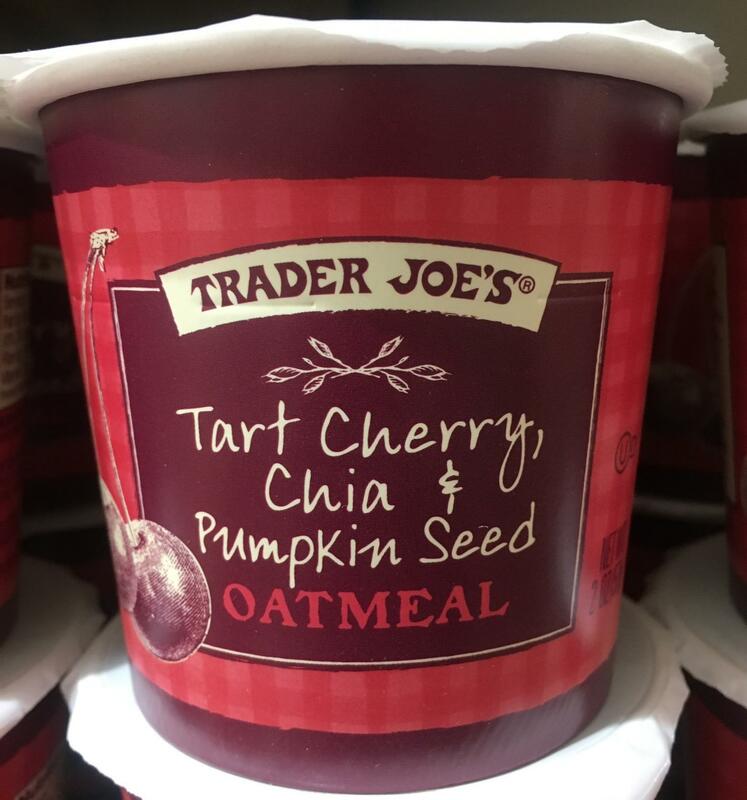 This tart cherry, chia and pumpkin seed oatmeal cup from TJ’s is definitely on the cheaper side and packs a protein punch of 9 grams while keeping the sugar down to a reasonable 6 grams. We had to throw two bar options on this list because there were too many good ones to choose from. 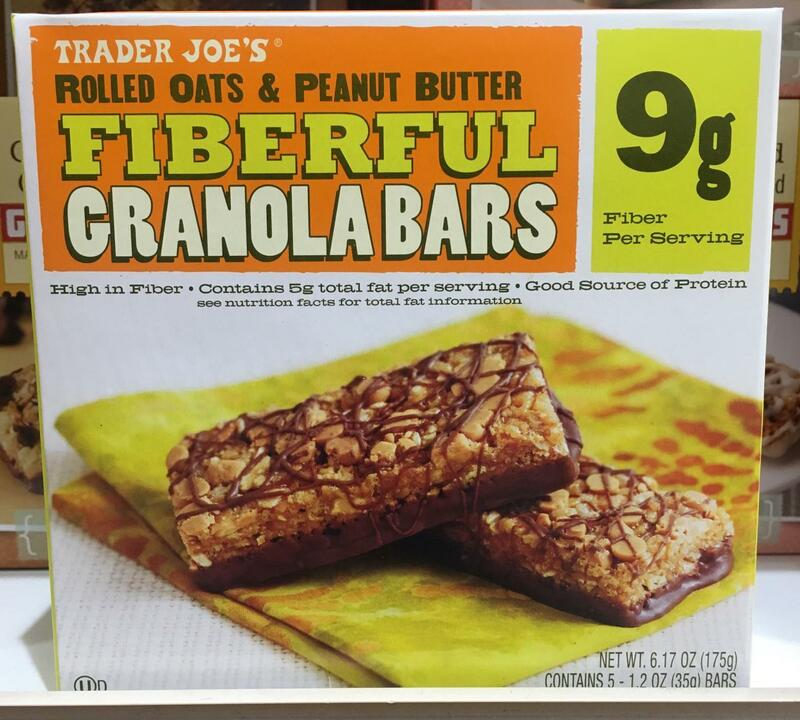 These “fiberful” options boast 6 grams of protein and 9 grams of fiber per bar. Since each box comes with five bars inside, you’re looking at an awesome 54-cent snack. 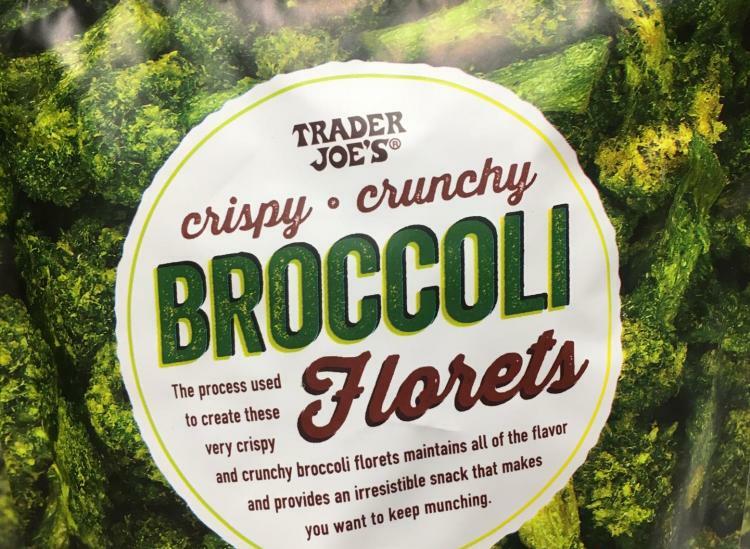 Another veggie snack that’s a protein win! This option ends up being the most expensive on the list since one bag counts as one serving. 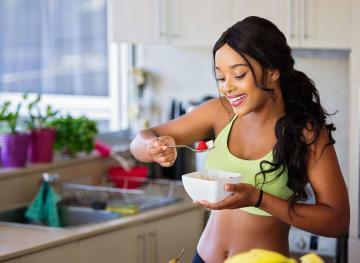 However, it’ll give you a solid 6 grams of protein, 7 grams of dietary fiber and a healthy 240 milligrams of potassium (one of the core electrolytes your body needs to function properly). Peanut butter + granola = best snack ever. 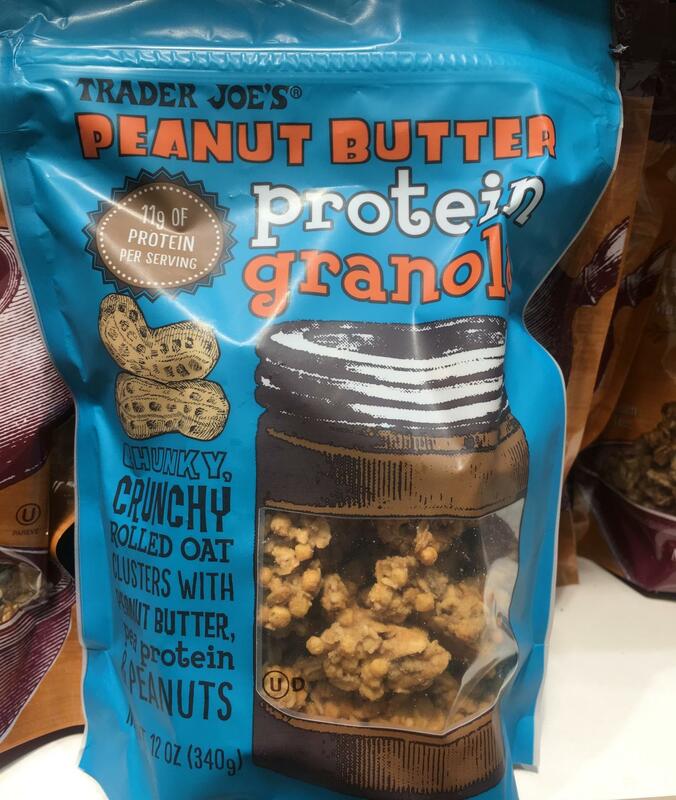 This protein-packed cereal alternative, at just 58 cents per serving, includes 11 grams of protein and a healthy dose of those monounsaturated fats, thanks to all the PB. So munch away on it dry or toss it into a cup of your milk of choice when those snack cravings hit. 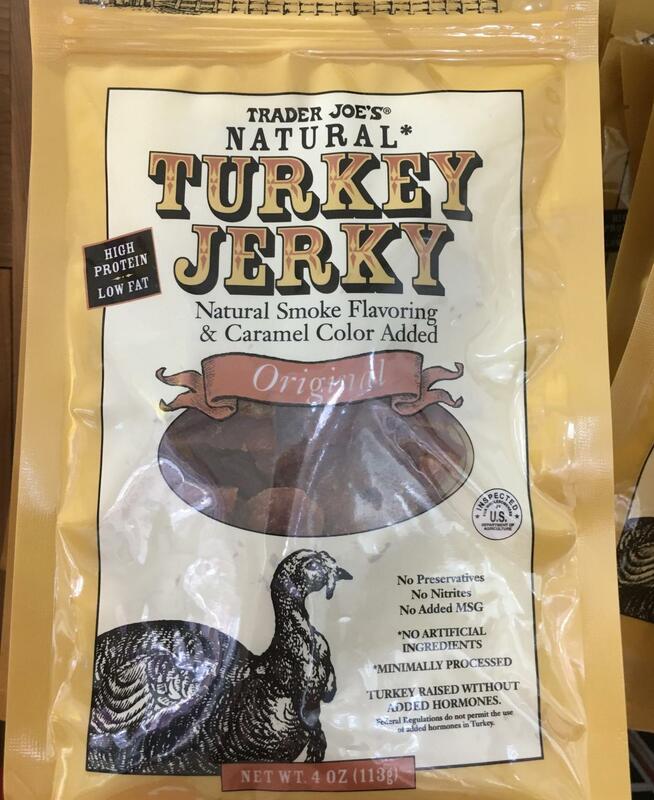 Jerky is one of the easiest ways to guarantee yourself a protein boost, and this turkey option is no exception. Each serving contains 11 grams of protein, and since there are 4 servings per bag, you’re looking at $1.50 per snack. Both your belly and your budget will be happy with this choice.